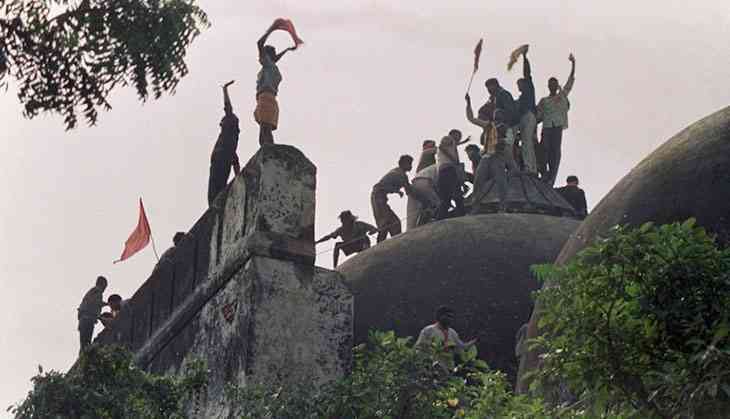 The Supreme Court of India on 19 April revived criminal charges against a score of BJP leaders, including former deputy prime minister LK Advani, former BJP president Murli Manohar Joshi, Union Water Resources Minister Uma Bharti and Rajasthan Governor Kalyan Singh, in the Babri Masjid demolition case. The judges came to the decision after the Central Bureau of Investigation appeal against the Allahabad High Court’s decision to acquit the politicians. The agency wanted them put on trial in the case, accusing them of being part of a larger conspiracy. On 6 March, the court had asked the CBI to file a supplementary chargesheet against the accused, including the conspiracy charges. The immediate political fallout of this decision may see Uma Bharti stepping down, but the SC observed that no case will be registered against Singh as he has immunity as a governor. Singh can be tried once he is no longer in office. The Supreme Court also clarified that no fresh trial is needed and the proceedings would continue from where it was stopped vis-à-vis these leaders. The BJP leaders now face the serious charge of “criminal conspiracy” to demolish the mosque - that even prior to 1992, they has conspired to demolish the mosque. Criminal conspiracy requires two or more people towards a “common intention”. The CBI claims to have evidence that these accused met in 1990 itself, two years before the demolition of the mosque, to conspire to raze it to the ground and hence it was premeditated and deliberate and hatched a conspiracy to implement the plan so that it would appear that an angry mob of “unknown” persons in a spur of the moment razed the mosque. Hence, they chose to keep a distance from the mosque, although the distance was 200 metres and made it appear that they were not near the mosque when it was destroyed. However, the Allahabad High Court had refused to accept this CBI theory and upheld the trial court acquitting them of the criminal conspiracy charge. When the CBI made an appeal, the apex court revived the criminal charge and ordered that the trial court in Lucknow would complete the whole trial within two years. The CBI has been ordered to ensure at least one witness is produced for examination and cross-examination each day. The court revived the criminal conspiracy charges in the case against several other Hindutva leaders who had also been acquitted in the case. These include Vinay Katiyar, a BJP MP and the founder-president of the Vishwa Hindu Parishad’s youth wing Bajrang Dal, Sadhvi Ritambhara, former VHP senior Vice President Giriraj Kishore, Satish Pradhan, Champat Rai Bansal and Mahant Avaidyanath, mentor of present Chief Minister of Uttar Pradesh Yogi Adityanath. Kishore died in July 2014.